Vegetarian and vegan product reviews – is it time the truth was told? We’ve been asked a few questions over the weekend about our trademarks. Here is some information about the trademark process.How do products get our trademark? – We check ingredients to ensure they are suitable for vegetarians/vegans. This includes checking the source of the ingredients with manufacturers’ suppliers. – If a product includes non-vegetarian/vegan ingredients, we work with the manufacturer to find suitable alternatives before we accredit them. – We review documentation relating to production processes (often called manufacturing specifications). This is where we check for the risk of cross-contamination from non-vegetarian/vegan ingredients. This can include visits to production sites. – We work with manufacturers to improve their processes. Do we allow companies to self-certify their products? No. We carry out independent checks of the ingredients and the processes. Do we do laboratory testing? We do not carry out laboratory testing of products. Do we do site visits? We conduct site visits depending on the level of risk of cross-contamination in the production process. For example where a facility manufactures exclusively vegetarian products, this would usually be considered unnecessary. 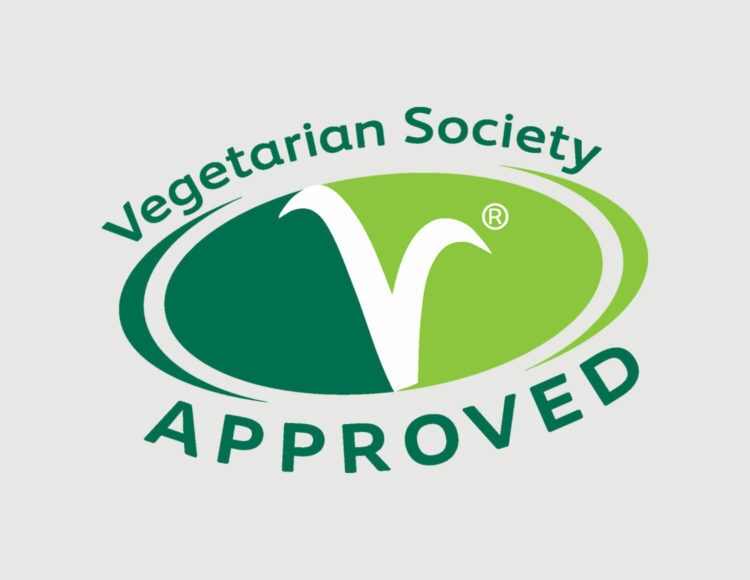 The Vegetarian Society Approved vegetarian trademark is used on products that meet our vegetarian criteria. 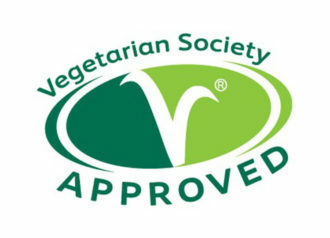 The Vegetarian Society Approved vegan trademark is used on products that meet our vegan criteria. 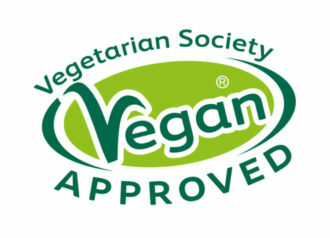 We have found that every company we have ever worked with wants to do their absolute best for their vegetarian or vegan customers.